The Oshawa Executive Airport has joined forces with other airports in southern Ontario. A group of Ontario’s airports are coming together to ensure the future remains bright for air travel in southern Ontario. The newly-launched Southern Ontario Airport Network (SOAN) includes 11 southern Ontario airports, including the Oshawa Executive Airport, both Toronto airports and the John C. Munro International Airport in Hamilton, along with airports in Peterborough, Kingston, Lake Simcoe, London, Niagara, Peterborough, Waterloo and Windsor. For Stephen Wilcox, the manager of Oshawa’s airport and an executive of SOAN, the main goal of the network is to bring the airports together to look at how to best serve the industry and address the challenges in the future, the largest of those being the expected growth. According to a news release, the expected demand for air travel in this region is expected to reach 110 million passengers annually by the early 2040s. “It looks at the area, Southern Ontario, from Kingston to Windsor, in a very holistic way recognizing how we serve, because ultimately that’s what airports are, they’re infrastructure,” Wilcox says. According to Wilcox, the airports have been meeting collectively for two years. However, recognizing the significant growth looming on the horizon, he says it served as the catalyst to take more concrete steps. The group’s members will now be working to complete a number of practical goals to support their efforts moving forward, including completing an economic analysis of the 11 airports to their surrounding communities, regions and the province, as well as looking to understand ground transportation issues while developing “best-in-class” strategies for responsible and sustainable growth. “In terms of airports, for us, our planning window is the 20- to 25-year horizon. It’s a very complex process to do anything today and in aviation it’s even more complex, so we need to be planning well out, way out in order to be able to address demand,” Wilcox says. An initial release from SOAN indicated the region could potentially lose $15 billion in GDP and force more than 20 million passengers to look elsewhere for air travel needs if growth isn’t dealt with responsibly. For Wilcox, the formation of SOAN is a long time coming. 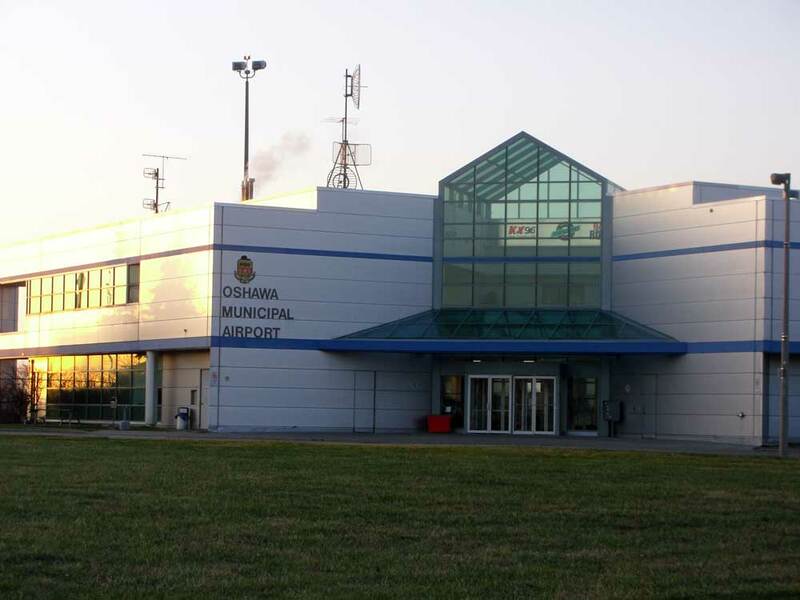 According to Oshawa’s 2015-2019 Airport Business Plan, a 2005 study estimated the direct economic impact of the airport to be 215 jobs and $28.3 million in value-added GDP. However, the business plan completed in 2015 states those numbers are now “significantly” higher, with the airport generating approximately $1.5 million in annual property taxes.